You can access the full Nevada Employment Law Manual (over 50 state-specific reference resources) and Employee Handbook templates (over 10 state-specific handbook policy templates) below, as well as view key state and municipal deadlines, additional state-specific resources and links to key municipal coverage. Does This Law Apply to My Organization in Nevada? Updated to reflect information on a state supreme court ruling concerning the provision of health care benefits. Updated to reflect an announcement regarding the minimum wage rate for 2018. 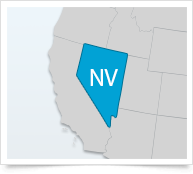 A round-up of the comprehensive state coverage XpertHR offers to help Nevada employers ensure they are compliant with state HR and employment laws.